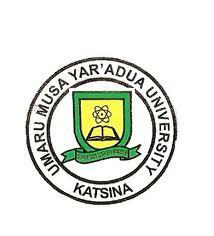 UMYU IJMB and Pre-Degree Admission List (first batch, second batch and final) – The list of candidates offered provisional admission into the Umaru Musa Yar’adua University (UMYU), Katsina, School of Pre-Degree and Remedial Studies (SPRS) programmes for the 2018/2019 academic session has been released. Go to https://www.umyu.edu.ng/index.php/2017-03-26-10-25-31/university-news/387-sprs-final-admission-list-2018-2019-session-pre-degree-ijmbe to access your admission status. Comment Text*Pls umyu 2nd bach,addmission list is out, pls if it was how can i see it,pls explain little to me.thanks lot.